How might we enable patients in palliative care to share their legacies? Patients in palliative care experience a lonely and vulnerable journey as they near their end of life, or reach a state of non-recovery. With varying levels of attention from loved ones, they can struggle to find channels of communication that maintain their sense of identity, pride and agency. 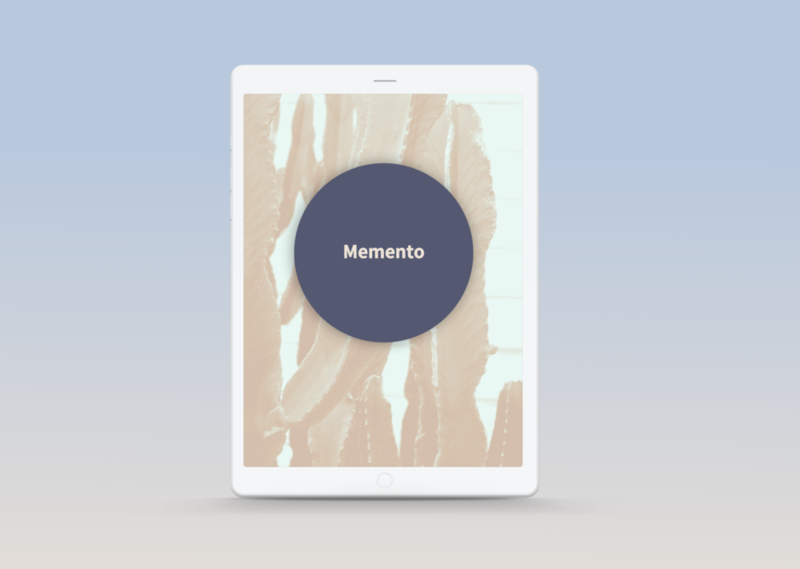 Inspired by Dignity Therapy, Memento allows patients in palliative care to share their memories, life lessons and values to create a lasting legacy — a deeply personal memento.